The client wanted a oak kitchen island to help balance the straight lines of the high gloss units and white quartz worktops. 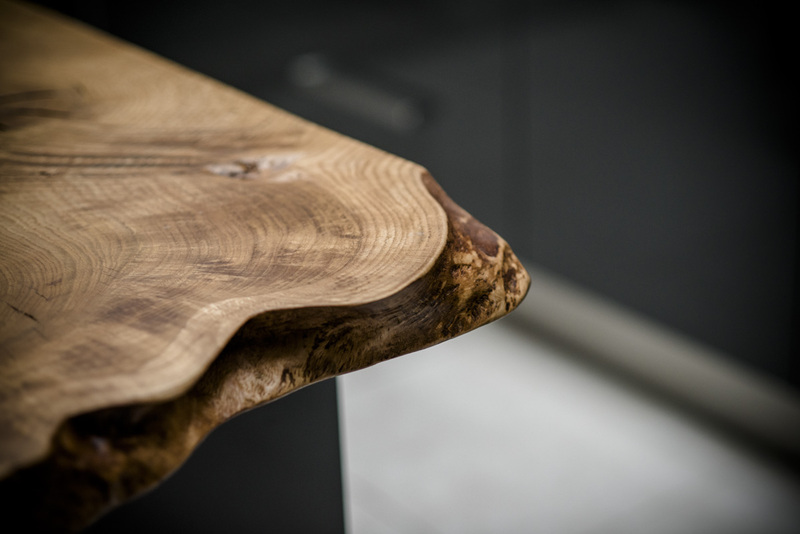 The piece chosen was a 6cm thick slab of solid English Oak measuring 1800cm long and 90cm wide. 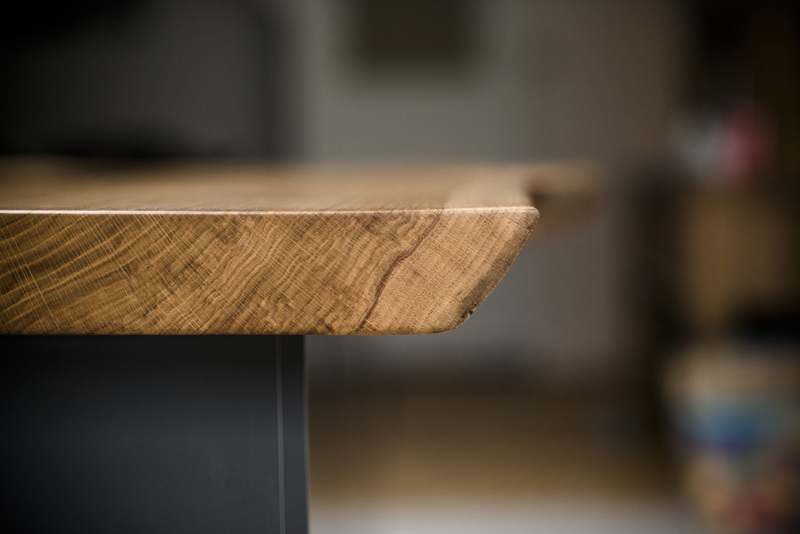 For practicality, the oak was cut square on two edges leaving the remaining edges natural. 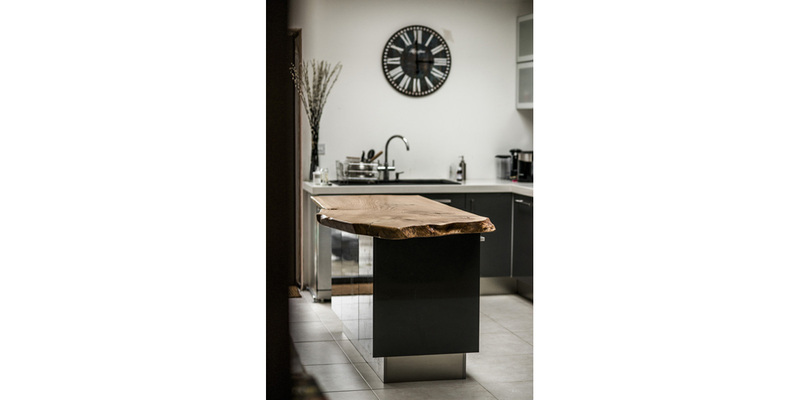 An overhang of around 25cm allows the island to function as a breakfast bar. 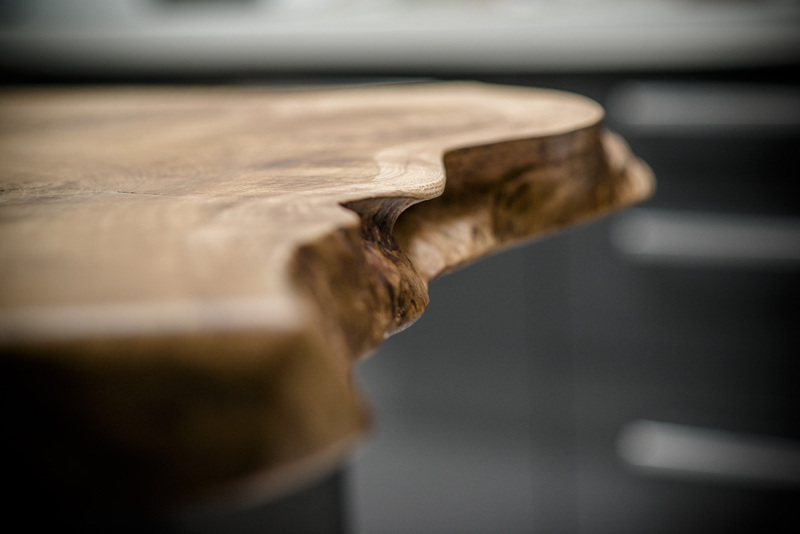 This piece is made to your exact requirements so please get in touch via the ‘contact‘ page for more information. In collaboration with Mark at Grand Space.